Ever Astudillo’s photographs cannot be seen in isolation from the large pencil drawings for which he is known, and of which photography is the main inspiration. By means of rigorous framing, Astudillo exalts the beauty of the streets of Cali, replete with electrical wires, movie posters, art deco buildings, and pedestrians at loose ends. 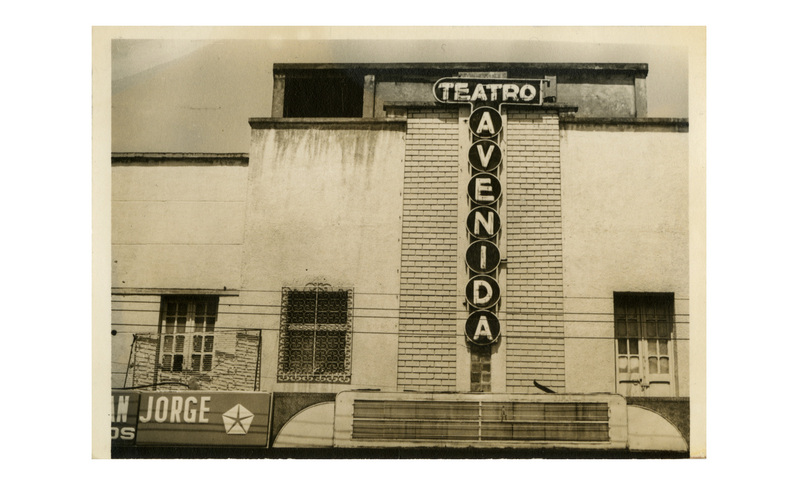 Astudillo has always been a passionate movie buff, with a weakness for Mexican films: their melodrama, their rumba dancers and wrestlers, and their virtuosic movie posters. Born in 1948 in Cali, Colombia. Died in 2015 in Cali, Colombia. Ever Astudillo Delgado studied at the Escuela Departamental de Artes Plásticas in Cali and then at the Universidad Nacional Autónoma de México. He has been professor of Drawing and Painting at the Universidad del Cauca since 1973. In 1984 he received Honorable Mention at the first Bienal de Arte de América in Havana and first place at the Salón Nacional de Artistas de Colombia. His work has always focused on the poetry of urban neighborhoods, set off by the light and shadow of the landscape and by street signs. He explores urban themes through works with strong social content, emphasizing collective behavior as a seed of cultural identity.